This is so creative. I don’t care that it is only in a Starbucks and not somewhere romantic like a sunset on the beach. She must have been so surprised, and by the looks of it, very happy. this is so adorable. they\’re so adorable. gosh, i love love! OMG! So romantic. 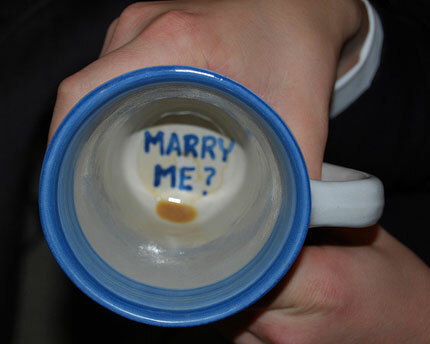 What a creative way to propose a girl!